I didn’t camp much as a kid. And I hadn’t been camping since—until last year, when a worker’s compensation investigation for a Fortune 500, self-insured client sent me back into the wild. I had a lot of questions about what problems might arise on a campground surveillance job—questions I didn’t have time to ask. I had to quickly pack a tent, equipment, and foodstuffs, and of course, I could not forget the s’mores-making supplies. This assignment taught me a few things about how to handle surveillance in a campground similar to a KOA parcel. This particular campground featured a lake, several playgrounds, and communal seating areas. A tree line formed a perimeter around the camp, which was packed with RVs, trailers, and tents—seemingly at max capacity. My wife and I camped there for two days during the case. We enjoyed the trip. And I obtained damning evidence for the client. The claimant, who claimed he couldn’t lift a cup of coffee to his lips, did not behave like a man with a shattered shoulder: He drank coffee. He chopped firewood and built a shed. A covert camera is your friend. I don’t care what kind of covert camera you carry. I used a cell phone and obtained plenty of good, covert footage of the claimant and his wife walking the dog. Snapping photos of them as they walked along a pathway several yards away was as easy as pretending to take a photo of my wife by the lake, with the claimant just behind her. Pick a good observation post. My usual “office” is a surveillance vehicle with blacked-out windows, parked near the claimant’s point of egress. Keeping watch from a tent site was a completely different sport for me. I didn’t want a line of sight from our campsite to the claimant’s—seeing a guy with a camera by a picnic table pointed at his campsite would have brought a quick end to the operation. So I set up camp about thirty or forty yards from the claimant’s trailer and kept things simple, but covert, by establishing a discreet observation post in grove of trees roughly sixty yards from the claimant’s campsite. A ghillie suit was too bulky and it would have been alarming for other campers to see. Instead, I used my own personality and appearance as camouflage. My disguise included a book, my trusty JVC GZ-R30BU camcorder, and a collapsible lawn chair. The book, my personality, and my appearance rendered me unremarkable—and thus, virtually invisible—to the other campers. I look bookish. I wear glasses. I’m in the shade enjoying a collection of short stories. When people walk by, they see a bookish twenty-something enjoying a good read. If I needed to vary the routine to maintain my cover and the claimant happened to be active, I panned my camera over to some noisy birds—making a good show of it whenever bystanders were nearby. My book-reading, bird-watching cover show worked perfectly. No one gave me a second look. To succeed in campground surveillance, you’ll need a few actual camping skills. Practice pitching a tent and building a fire if you have to. 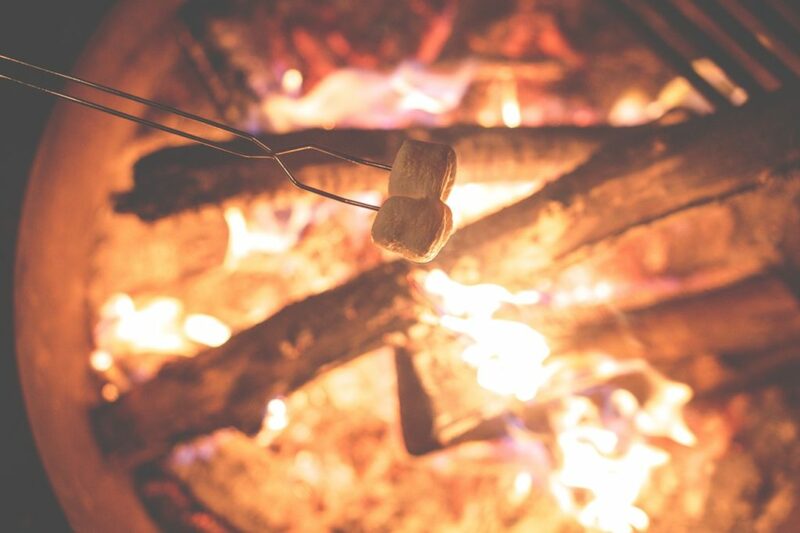 Learn to make a s’more and roast a hot dog without setting yourself on fire. Struggling with these tasks will peg you as a rookie outdoorsman who doesn’t quite belong. My wife and I are not Bear Grylls, but we managed to fit in well enough. We hiked the grounds, mingled with other campers, and built campfires. We roasted s’mores and hotdogs over our expertly-built fire. Yes, I still obtained covert footage of my claimant, but I also looked the part of a camper having a good time (rather than some creepy dude in the woods taking too many photos). Otherwise, it would have been a short trip to the wilderness, and the client would have wasted his money. My wife and I drove two cars down to the site. Why? So if things got hairy, we could both drive away. This claimant had no arrest record, nor did he seem to have any violent leanings—as far as I could tell from my social media investigation of him. However, I knew that desperate people are capable of anything. Too often, investigators don’t consider their own safety or the safety of their team. And this situation demanded a well-considered plan of action—after all, during a typical surveillance operation, if you get burned, you can just drive away. Being outside and on foot was a far more vulnerable feeling. Since I wasn’t working out of a car, I needed a detailed plan to get myself and my wife into cars and out of the area. This made us both feel much more secure on our mission to the woods. Tailor your plan to your needs and the needs of the client. I had little to no time to prepare for this assignment. 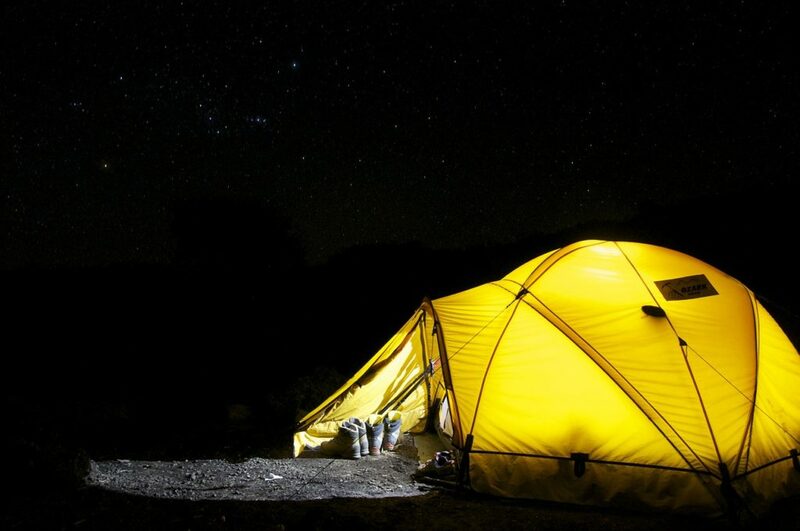 The client knew that there was no time to lose, so I chose the simplest and most cost-effective gear I could, based on the minimum requirements for the job at hand—basically, a tent and other gear for primitive/tent camping. If I had more time to plan (and more money to spend), I would probably have rented an RV with tinted windows. That would have allowed me to camp even closer to the claimant’s campsite without being seen. Unfortunately, the client was in a hurry, and a rush RV rental wasn’t in the budget. Fortunately, the alternative—a cover that involved only a tent, a lawn chair, marshmallows, and a book of short stories—were affordable and effective. This is not a comprehensive primer for surveillance operations in a campground. These are lessons I learned from getting myself belly-deep in water that was, in the beginning, rather murky. Now that I’m acclimated to campground surveillance operations, I can say that the water is now clearer. The next time I conduct surveillance in a campground, I’ll be more proficient in the execution of my plan. I may even attempt one of these advanced campfire recipes. Brandon Hovey is a transitioning private detective employee in Illinois. Hovey has a Bachelor of Arts in communication (public relations/journalism/human communication) from Eureka College. He enjoys finding the truth via open source intelligence gathering and surveillance operations.